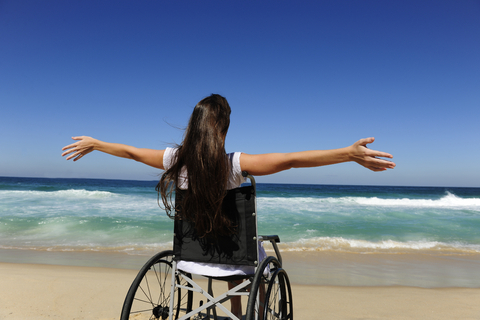 Carrying a travel wheelchair – How can owning one benefit your life? - Openstories Travel Blog! We all know that one of the greatest joys of being able to travel is to see new places which you may not have seen before and for most people, this is indeed a great pleasure and opportunity that should be grabbed whenever you have enough ability and time. But when you’re literally confined to a wheelchair, things have to be seen from a different perspective altogether. You then need to do more planning, particularly when you’re planning to travel long distance. You need to get things prepared to save the hassles when the time comes. One of the most important things that you need to carry with you is lightweight folding wheelchairs. Let’s check out a few pros and cons of traveling with such lightweight folding wheelchairs. You may have by now traveled with a static framed chair for traveling but now it is far better to travel with your lightweight wheelchair to help someone with physical disability to travel through different places. • Extremely portable: When you’re someone with disabilities, the thought of being able to travel with disabilities is itself very soothing. When you carry a folding wheelchair with you, it can be folded into almost a flat package which can be easy and effortless to store in a flight or some other means of transport where space is the most important factor. • Can be carried by airline staff: If you’re flying with a disabled person and you need to carry a wheelchair, you need not worry as the airline staff can pick up the wheelchair on their own and carry them without hurting their backs over a heavy framed chair. • Can be operated without aid: Being lightweight, they can be easily pushed around either by the person who is sitting on the chair or even if someone has to push him, the person will be happier due to its light weight. Whenever you use wheelchair stair lifts or ramps, then too you need not worry as the weight is extremely less and hence can be manoeuvred easily. Are there any cons of foldable wheelchairs? The only pitfall of carrying a traveling wheelchair is the lack of padding. In order to cut down on the weight and to make the chair fold into a really small size, padding is almost not there. So, if you use such a wheelchair for short distances like moving from the taxi to the airport or from the departure lounge to the check-in lounge, it would be okay for you but anything more than that would cause your back portion to go numb. Hence, you can see that you would always have to make some kind of sacrifice to get the comfort of not having to walk at long distances and yet travel from one place to another. The lightweight wheelchairs are also pretty cost-effective and hence you can buy them without blowing a hole in your wallet. To increase comfort ability, you may invest in a seat cushion as well.